The EPA's ENERGY STAR® program has been working on extending ENERGY STAR to data centers since 2007. A new rating system for data centers is planned for release on 7 June. What do we know and what is still unclear? Beyond PUE: How Efficient is Our ITC Infrastructure Itself? Power Utilization Effectiveness (PUE) has emerged as the universal metric for minimizing non-ICT energy consumption in an ICT facility. It does not address the efficiency of the ICT infrastructure itself. Some practitioners have expressed a concern that an over-focus on PUE could result in a perverse incentive to increase absolute energy consumption. Understanding the energy consumption of a particular piece of software, such as a web site like Vertatique running in a virtualized environment, has been a difficult undertaking. Now, Microsoft Research is introducing Joulemeter, "a software based mechanism to measure the energy usage of virtual machines (VMs), servers, desktops, laptops, and even individual softwares running on a computer…Joulemeter can be used for gaining visibility into energy use and for making several power management and provisioning decisions in data centers, client computing, and software design." "Follow-the-sun"*, "follow-the-wind", "follow-the-moon" and "follow-the-kilowatt" are cloud computing operational strategies that dynamically shift processing around the global to balance demand proximity with low energy prices. While much of the discussion has been theoretical and speculative, we are starting to see implementation. The CIO Executive Board has identified what it calls "two critical activities to successfully sustain green IT projects." These tie to our "Keeping It Real" criteria, which are critical to long-term credibility of any green initiative. The greenest purchase is often no purchase at all. Many items will have made much of their life-cycle energy/carbon impact by the time they hit our loading docks. "Sweating our assets" refers to getting more productivity and longer lifecycles out of what we already have, an even more critical skill now that access to cheap capital has diminished. There are two GreenICT reasons for doing this. Repurposing military facilities into green data centers appears to be a growing trend in Europe. We recently noted a Swiss data center built in an old military bunker and an Icelandic facility in a decommissioned NATO base. 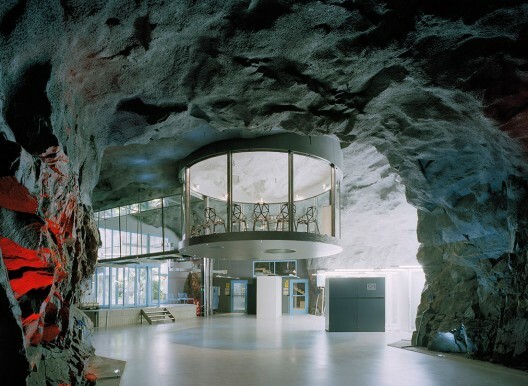 Now Sweden offers another variation on this theme: an underground data center with a Cold War pedigree.